Confused on what group of genomic young sires to use for your breeding program? Not sure which sires are the real deals and which ones are just smoke and mirrors (read The Hot House Effect on Sire Sampling)? We decided to take a closer look at the top 100 genomic young sires from around the world to determine just which ones are worth using and which ones you are better forgetting. Based on our analysis of the early genomic sires that received indexes, we first removed all sires from our list that didn’t have DGV’s available or higher than their parent average for the traits we judge as important (read 7 Reasons Why You Shouldn’t Use Genomic Sires With DGV’s Lower Than Their Parent Averages). Then instead of just giving you the highest list based on their GPA TPI or GPA LPI we decided to look for sires that fit certain needs. They are overall performers, production, durability, health and fertility and conformation. The following are the results. While bulls like Amighetti Numero Uno may top the GPA TPI list, we are looking for a more needs approach. The following are the sires we would recommend when looking for a genomic young sire to provide overall performance improvement. This Robust son from 2012 Golden Dam Finalist AMMON-PEACHEY SHAUNA VG-87-2YR-USA, really is a genomic wonder. Not only does he have the highest genomic values in the breed for production but he also has great functional type and health traits to go with it. Here you have a sire that is over 2500 lbs. for milk, with positive component deviations, 2.50 for type, and over 7 for productive life. He really is the complete package. From the LYLEHAVEN LILA Z EX-94-CAN 14* (also a 2012 Golden Dam Finalist) family comes, the CDN GPA LPI topper VELTHUIS LET IT SNOW. 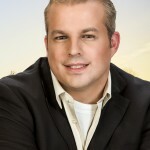 While possessing 500 lbs. less production and half the productive life of that of Supersire, this Snowman son has outstanding type composites and the genomic test to make up the difference for those of you that do not want to sacrifice overall type. I would protect Let It Snow on the health and fertility side a little. I am always looking for sires whose genomic tests blow out their expected values, and ROSYLANE-LLC ALTALEO does that by almost 19%. AltaLeo does not top any GPA TPI or GPA LPI lists, but he does seem to far exceed the values you would expect from an AltaMeteor from a not very well known Nifty (Bombay x Zebo) daughter. For those of you who like to take flyers on bulls who just seem to be extreme, AltaLeo is the sire for you. While he does need to be protected on rump and dairy strength, for those that are willing to take the risk, they may find the reward is well worth it. PHOENIX is a Planet from DE-SU 7902 GP-81-2YR-USA DOM, whose dam De-Su Oman 6121 VG-86-2YR-USA DOM GMD has over 20 daughters on the locator list and is the dam of De-Su Observer, one of the early top genomic sires. Phoenix combines outstanding production and components with strong conformation. Though a Planet x Bolton cross may raise some concerns about rumps, Phoenix should inherit his maternal line’s rumps and be okay. The area of strong concern that he does need protected on is his health and fertility traits, specifically his daughter fertility and milking speed. Lightsnow also from the LYLEHAVEN LILA Z EX-94-CAN 14* family is a Snowman from the well-known Planet daughter MS CHARTROISE LORELEI VG-87-2YR-CAN. Lightsnow offers 160 lbs. of combined fat and protein, offering breeders a quick punch of components while not having to sacrifice production. While needing to be protected a little on some of the health and fertility traits, Lightsnow offers outstanding production improvement with a very balanced type offering. As the #2 sire for productive life (NO-FLA AltaSecure is #1) BLUE-HORIZON ALTASUPLEX offers significant longevity improvement. Unlike AltaSecure this Super son combines that high productive life with over 1400lbs of milk, and 3.00 points on type. While he does need to be protected %F, dairy strength and rumps, AltaSuplex offers extreme functional conformation improvement that you would expect from a great grandson of BUDJON-JK ENCORE ELECTRA EX-95-2E-USA DOM GMD 3*. 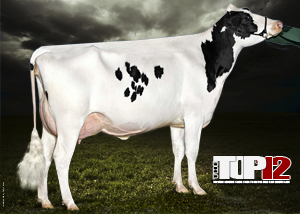 Following closely behind AltaSuplex for #2 on the top genomic longevity list is Doorman, a Bookem from a Shottle that completes 8 generations of VG+ with 31*. Doorman offers a more complete package with not needing protected on much as he is over 1300 kgs of Milk, plus on both his component deviations, and double digits for all major type traits. In fact his DGV for conformation and mammary system are among the very best in the breed at +22. 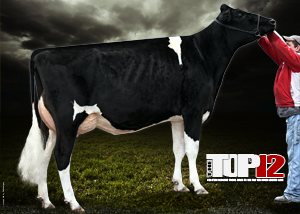 While the family may not be a household name yet, Doorman could be the sire that changes that as he even converts well onto the US system with a GTPI of +2465, PTAT +4.72 and almost a 1000 lbs of Milk and over 100 lbs of combined fat and protein. There hasn’t been a better brood cow for type and longevity recently than 2012 Golden Dam Finalist REGANCREST-PR BARBIE EX-92-7YR-USA DOM GMD 3*. Now this trend continues with her grand daughter, and fellow 2012 Golden Dam Finalist REGANCREST S CHASSITY EX-92-4YR-USA DOM, and also Chassity’s Goldwyn daughter, and Cashmoney’s dam MS CHASSITY GOLDWYN CASH VG-87-2YR-CAN. Not only does Cashmoney have an extremely well known female side to his pedigree, his sire stack is nothing to laugh at either. He combines OBSERVER x GOLDWYN x SHOTTLE x CHAMPION x DURHAM, and from a longevity standpoint he’s the best there is on the list. Cashmoney really is the real deal though I would protect him on strength and rumps. Possessing no Planet, Shottle or Goldwyn in his pedigree S-S-I DOMAIN LITHIUM has some of the highest DGV’s for health and fertility. Lithium is from one of the top genomic cows in the breed, GLEN-TOCTIN BOLT LUCILLE VG-87-DOM. Combining high herd life, low Somatic Cell counts and high daughter fertility with over 1600 lbs of milk, 110 of fat and protein and 2.5 points on type makes Lithium a great choice when looking for improvement. It is interesting to note that his DGV’s for health and fertility are almost 8% higher than the next highest sire (BRANDT-VIEW ALTAOTIS) and 50% higher than his own official index, indicating that he really is the sire to use when wanting to address this area that has flown under the radar far too long. With his low Somatic Cell Score (2.72), strong udders (2.54 Udder comp. ), quick milking speed (106), and high daughter fertility (110 CDN 2 US) Krunch is a breed leader when it comes to health and fertility. Tracing back to WA-DEL RC BLCKSTR MARTHA EX-93-2E-USA GMD DOM 2* combines his strong female lineage with outstanding health and fertility sire stack Freddie x Goldwyn x Zade x Mtoto x Formation x Blackstar. Though he very much needs to be protected for strength and rumps. There is no question that some of us put too much emphasis on type improvement when it comes to selecting bulls, especially when many type traits have such low heritability (read Is Your Breeding Strategy A “Field of Dreams”?). The following sires in addition to Let It Snow and Doorman, will offer you the potential to breed a great show animal. Tied with Doorman for some of the highest type genomics in the breed is MR ATWOOD BROKAW. Which should come as no surprise as in Brokaw you combine the two greatest type families in the breed today. On the paternal side you have Atwood and his dam MD-DELIGHT DURHAM ATLEE EX-92-4YR-USA DOM GMD 2*, 2012 Golden Dam finalist and reserve Int. Champion at Madison in 2005 followed by her grand dam being MS Kingstead Chief Adeen EX-94. On the maternal side you have REGANCREST MAC BIKASA VG-87-2YR-USA who is the daughter of REGANCREST-PR BARBIE EX-92-7YR-USA DOM GMD 3*, also a 2012 Golden Dam Finalist. Watch for Brokaw to sire extreme udders and dairy strength, but will need to be protected on rumps from time to time. Also from the of REGANCREST-PR BARBIE EX-92-7YR-USA DOM GMD 3* family, but this time from a VG-88-3YR-USA DOM 1* Shottle daughter REGANCREST BREYA, and sired by GEN-MARK STMATIC SANCHEZ EX-94-6YR-USA ST’12 comes Bradnick. Breya is the former #3 PTAT Cow in the breed and continues the strong legacy that Barbie started. In Bradnick you get a sire who is over 3 points on all composites except dairy comp. where he is at 2.92. In every major type trait Bradnick’s DGV’s are higher than expected and offers more balance than Brokaw who does need to be protected on Rumps. Anyone can just pick a sire from a top of the GPA TPI or GPA LPI list and call themselves breeders. But there is more to it than that. Breeding great cattle is part art form part science and you need to have both parts in balance. It takes careful consideration generation after generation of corrective mating to breed great cow families. That is why instead of just giving you a list of the top 10 we tried to provide you the insight into which sires will provide you the maximum gain in each specific area. How Much Can You Trust Genomic Young Sires? We are talking DGV’s and at time of publishing not currently.